Over the course of his outstanding career, Dr. Johnson has distinguished himself as an exceptional teacher-educator, scholar, researcher, and author. Recognized by his peers for exemplary teaching, scholarship, and professional service, he is Professor of Music and Music Education at UNC Wilmington. 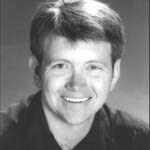 A graduate of the New England Conservatory, the University of Arizona, the St. Louis Conservatory, and Emory University, he earned a Ph.D. in Music Education as well as the Graduate Diploma and Master's Degree in Music Performance. His music education scholarship includes multiple research publications in eminent journals including: The Journal of Research in Music Education, The Bulletin of the Council for Research in Music Education, Visions of Research in Music Education, and Contributions to Music Education. His research and outreach projects are regularly supported by grants from national and state-level foundations. In addition, he has authored book chapters in the forthcoming Oxford Handbook of Assessment Policy and Practice in Music Education and Model Cornerstone Assessments for the National Music Education Standards. The fifth edition of his latest textbook, Musical Explorations: Fundamentals Through Experience, is published by Kendall-Hunt. An international authority on music education pedagogy, Dr. Johnson has presented teacher education workshops through the world, reaching hundreds of teachers and thousands of their students. Focusing on classroom music instruction, cross-cultural comparisons, music listening, arts integration, and teachers' professional development, Dr. Johnson has studied at the prestigious Orff Institute in Salzburg and regularly leads Orff-Schulwerk professional development courses and workshops in the United States and abroad. He is a frequent presenter at international, national, regional, and statewide conferences for professional organizations including: the International Society for Music Education (ISME), the National Association for Music Education (NAfME) - formerly the Music Educators National Conference (MENC), the College Music Society (CMS), the American Orff-Schulwerk Association (AOSA), the Organization of American Kodály Educators (OAKE), the Alliance for Active Music-Making (AAMM), and the International Society for Scholarship of Teaching and Learning (ISSOTL). During the past twenty-five years Dr. Johnson's teaching experience has spanned the PK - university gamut. In those settings, he has taught general, instrumental, and choral music for public, independent, and community-based schools in Massachusetts, Vermont, New Hampshire, Arizona, and North Carolina. In his current position, he teaches music education pedagogy, applied low brass, music fundamentals, music technology, and supervises student teaching interns. Past chair of the Research and Higher Education Committees, Dr. Johnson has served in elected positions on the executive board of the North Carolina Music Educators Association. He has served the College Music Society in similar capacities and currently serves as Co-Chair for the ISME Special Interest Group on Applied Pedagogies. As a multi-instrumentalist, Dr. Johnson has distinguished himself as an orchestral, solo, and chamber musician by performing major orchestral works for over a decade as principal tubist of the Long Bay Symphony (Myrtle Beach, SC). He has also appeared with the national touring ensemble and Summit Recording Artist Carolina Brass, as well as the Cape Fear Brass Works and the UNC-Wilmington Faculty Brass Quintet. As a conductor, he instituted and directs Tuba Christmas Carols, OctubaFest, and TubaZalea Concerts throughout the Cape Fear region. Dr. Johnson is also an accomplished bagpiper, ranked in the top one percent of his level by the Eastern United States Pipe Band Association. He studies the Great Highland Bagpipes at St. Andrews University and was recently promoted to Grade III. He competes throughout the southeast and mid-Atlantic United States, and was the three-time overall Grade IV winner at Highland Games Competitions. He has performed with the Port City Pipes and Drums for a variety of civic events and regularly attends the North American Academy of Piping and Drumming. Dr. Johnson is an early music advocate, experienced recorder player, and founder of the UNCW Early Music Consort.